In August 2011 an election was held in which registered voters in Scotia approved the formation of the Scotia Community Services District and the selection of five community members to serve on the District’s Board of Directors. Over the course of the next six years, the Scotia Community Services District Board adopted governing ordinances, set policy, and implemented the county approved “transition plan” which guided the transfer of community infrastructure and assets from Town of Scotia Company to the CSD. These Scotia assets include the Wastewater Treatment Facility and Drinking Water Treatment and Distribution plant, along with the historic Winema Theater, Scotia Museum, Fireman’s Park, Carpenter Field, and the Scotia Community Forest. Background information is available at the links for the Local Agency Formation Commission (LAFCo) Resolutions Approving the CSD . The following is a brief chronology/project summary, keyed to technical and review documents. 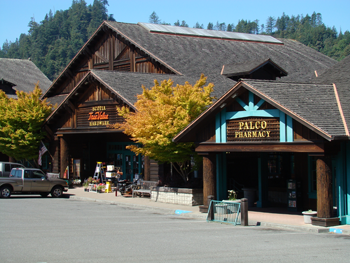 2005: The Pacific Lumber Company (PALCO) began the process of subdividing the town of Scotia into individual parcels. Up until this point, all 270 houses and the commercial properties were all one legal parcel owned by The Pacific Lumber Company. 2008: PALCO underwent reorganization, and Town of Scotia Company was established to assume responsibility for the residential and commercial real estate properties, infrastructure, and community assets in Scotia. 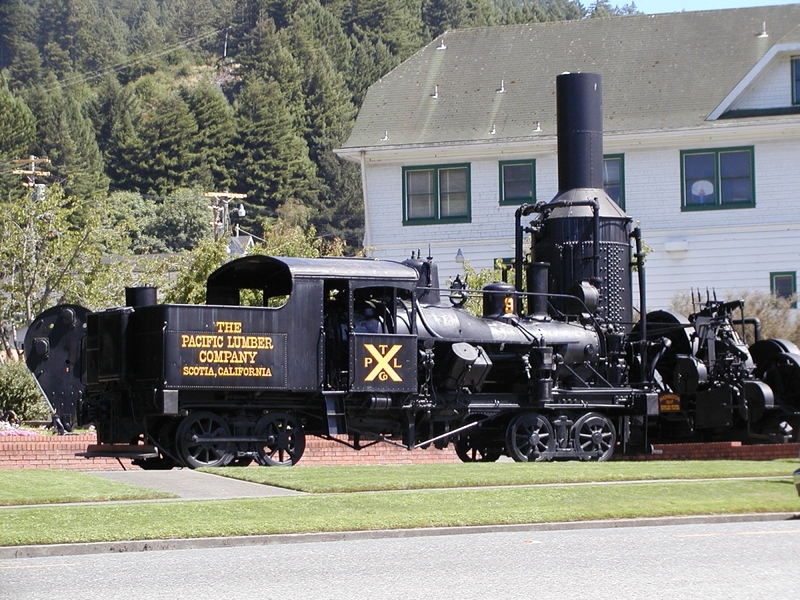 Since that time, the Humboldt County Board of Supervisors approved a Final Environmental Impact Report (EIR), a General Plan Amendment, Zone Reclassification, Final Map Subdivision, Planned Development Permit, Designation of the Urban Limit Line, and Establishment of a Community Services District (CSD) for the Town of Scotia (collectively “the Scotia Project”). See Draft EIR and Final EIR links for technical Addenda. The purpose of the phased subdivision is to create individual legal parcels to correspond with existing residential and commercial development and public facilities in Scotia, so that these properties may be privately managed, marketed, and maintained be owner-entities and individuals rather than as rental tenants. The purpose of the Scotia Community Services District is to provide public utility services (water and wastewater), as well as manage community assets and special services such as parks and recreation, streetlights, and storm drainage. 2010: The Humboldt Local agency Formation Commission (LAFCo) evaluated and approved the formation of the Scotia Community Services District, and the transition plan was established. 2011: An election for registered voters in Scotia was held, confirming the formation of the CSD, and five members were selected to serve on the Board of Directors. The election was conducted entirely by mail-in ballot. 93% of those who voted approved the formation of the Scotia Community Services District. 2017: In February the Scotia Community Services District approved the establishment of water and sewer rates, and storm drainage, parks and recreation, and street light assessments, as required under California’s Proposition 218. The transfer of historic and traditional community assets including the Winema Theater, Fireman’s Park, Carpenter (baseball) Field and Scotia soccer field, the Scotia Museum, the Riverside Community Forest, and utility treatment plants all concluded. Current Scotia Community Service District Board members are Diane Bristol, Paul Newmaker, Scott Pitcairn Susan Pryor, and Rick Walsh. Contact telephone is: (707) 506-3030. The CSD website: Scotia Community Services District website. The current plan is to market and sell the 270 homes in Scotia in five phases over the next four to five years. As this phased subdivision project proceeds, infrastructure upgrades, repairs, and replacement have and will occur. The main lines – water, sewer, storm drain, fire suppression, power lines, and other linear infrastructure have and will be relocated to dedicated easements in the County/Community Service District maintained streets and alleys. New laterals have been and will be created to serve homes, businesses, and other facilities. This project has been planned so as not to unnecessarily disrupt civic life in Scotia. Under this project, in a phased and orderly process, homes, businesses, and institutions in Scotia will be subdivided and acquired by private home and business owners. Eventually the community will be largely self-governed through the Community Services District framework.